When we were living in Los Angeles, my sister treated my wife and I to the studio tour on the Warner Brothers lot as a birthday present. 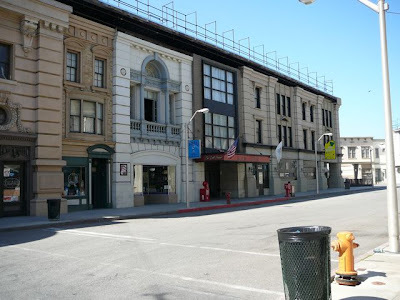 Last week I blogged about walking through the set of the old "ER" TV show. 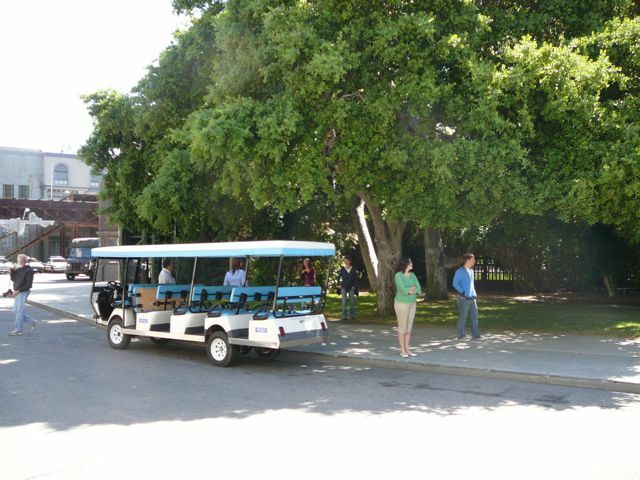 This week I'll cover the 2nd half of our tour. 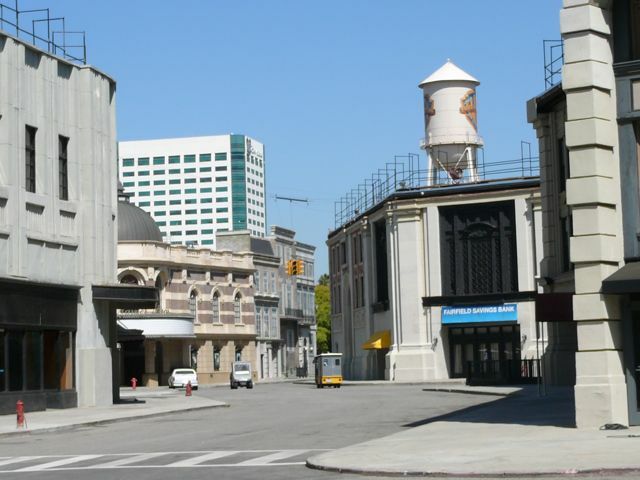 The New York set: hundreds of movies, TV shows, and commercials have been filmed on this street. 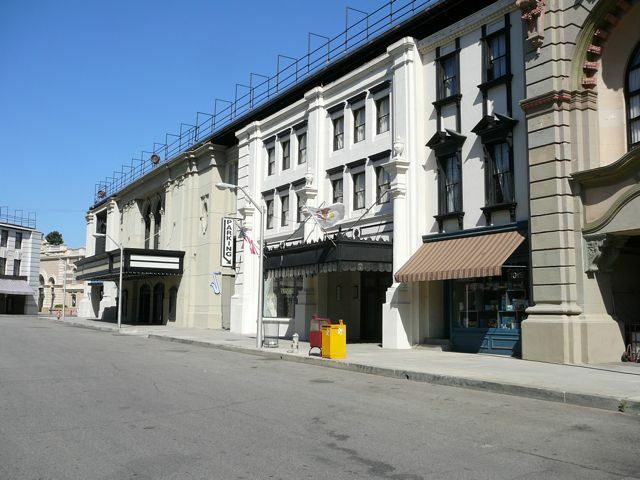 Another view, with the Warner Brothers corporate office building and studio tower in the background. 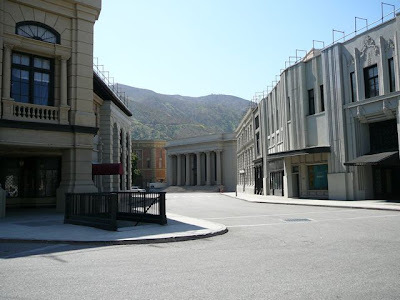 The oldest section of the back lot at Warner Bros is New York Street, a mock city block, built in 1930 for the gangster movies that made Warner's famous - starring the likes of James Cagney and E.G. Robinson. One part of the street resembles New York ("Lois and Clark" was shot here, as were the "L" train tracks from "ER"). The other side resembles San Francisco. It was here that they shot portions of "Yankee Doodle Dandy," "Batman Returns" (it posed as Gotham City), and the sci-fi classic "Blade Runner." And it's here that you'll find the facade of the 'St. Gregory Hotel', from the TV series "Hotel." This is real, working studio. 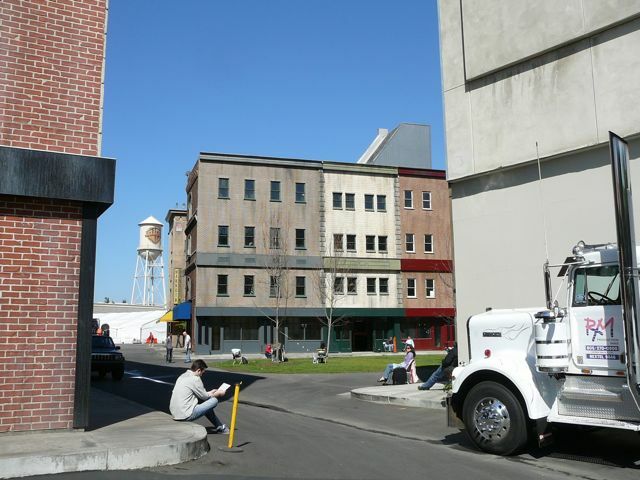 Dozens of hopeful actors/actresses were on the lot, preparing for a screen test - and, they're hoping, a role in an upcoming film or TV show. 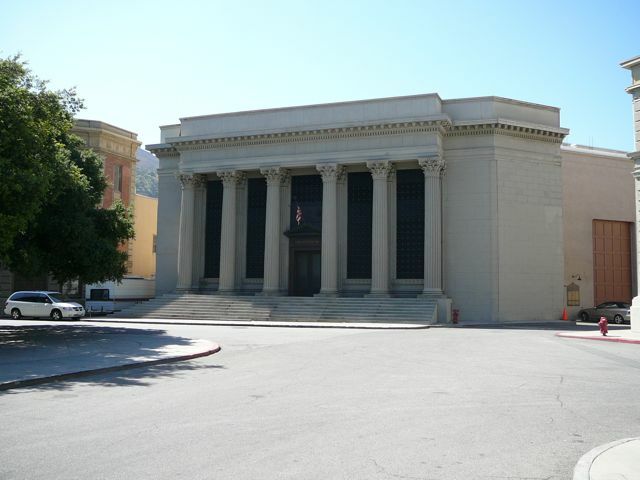 Turning a corner and at the end of the street was the city hall from the old, campy "Batman" TV show. Of course, Gotham city never had mountains behind it - that's the hills of Griffith Park in the distance. A "tighter" shot - that's the Gotham Hall city hall I remember as a kid. 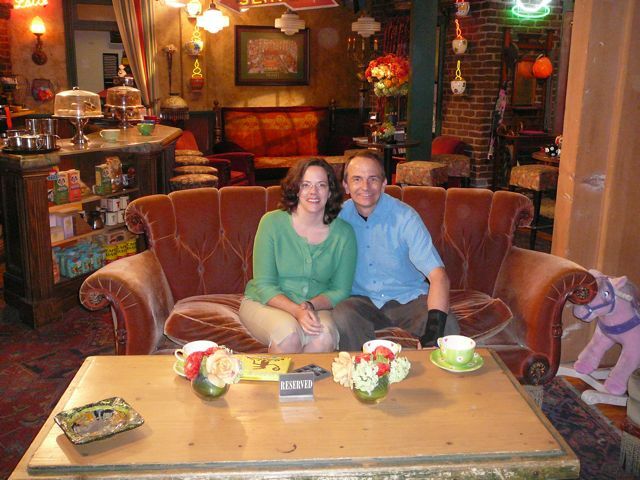 My wife and I in front of the "embassy" set. 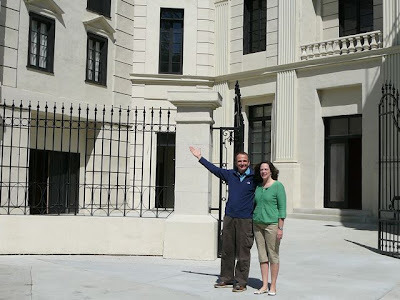 A few days later my kids and I were watching the 1999 version of "Annie" - and immediately recognized this set as the exterior of Big Daddy Warbucks' home. The Warner Brothers tour is very personal - our group of eight was able to walk around the outdoor sets, take photos and explore. Really neat. In that sense, it was very different from the Universal Studios tour (and theme park) a couple of miles away. Inside one of the "prop" buildings. Never saw the latest "Scooby Doo" movie (and, honestly, probably won't). 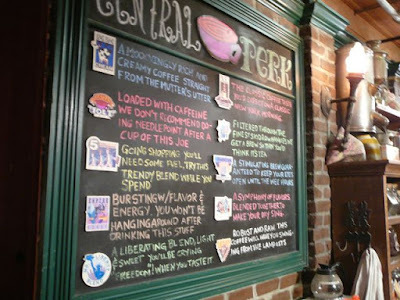 Central Perk: from the "Friends" TV show set. While I can count the of times I watched "Friends" on one hand, it was still fun to sit down on the couch from the set and pose for a couple of pictures (which, by the way, were taken by our tour guide). 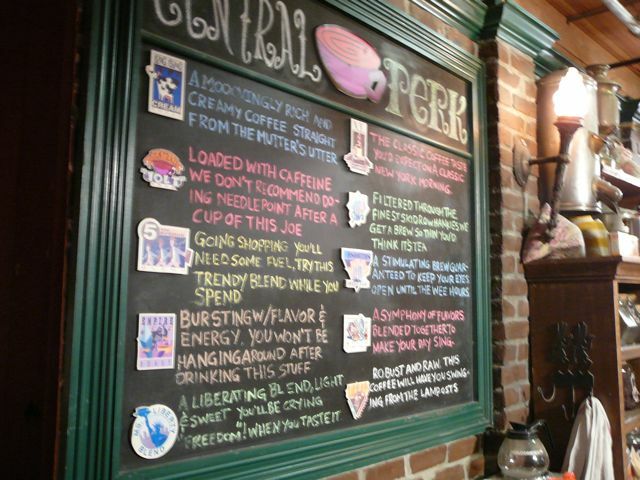 Another view of "Central Perk." 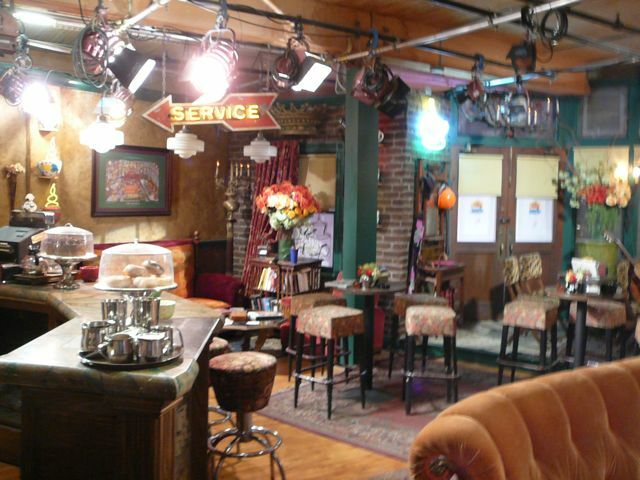 Fun for us - and we're not even real "Friends" fans. As I've commented before, I'm continually impressed by the artistry, creativity, and craftsmanship that those working in "the industry" (the entertainment industry) put into their work. 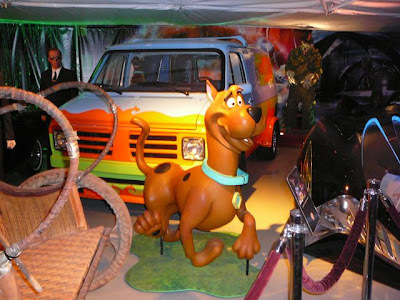 For sure, I'm also disappointed by some of the scripts that studios green light for production. 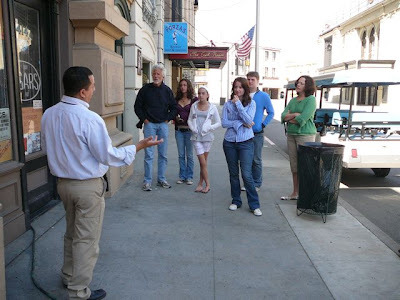 The reality is that even living in Los Angeles, our family chose to avoid both network or cable televison, limiting our media intake to just videos and DVDs. Part of it was cost, part of it was we just weren't interested in what was being offered. Yet I'm still impressed in how much work goes into making a film, any film. Living and working in L.A., it was fun stumbling upon a movie, TV show, or commercial being filmed on location. 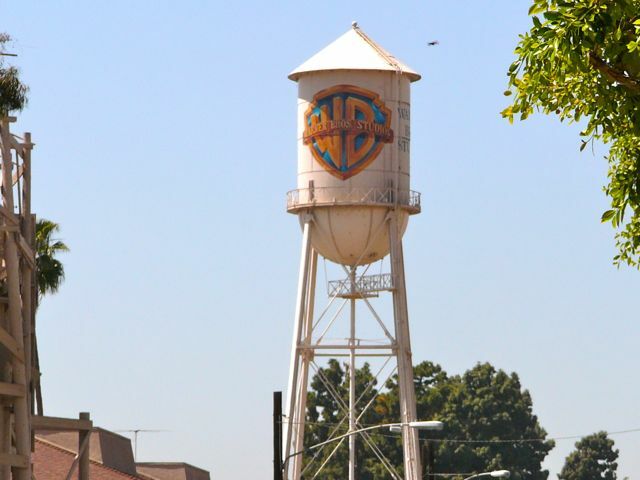 A trip to the Warner Bros Studios gave me an even greater appreciation to what it takes to bring a story, any story, to life - and the impact that even a single film can have globally. In that sense, for good for for bad, what happens in Los Angeles influences the world. 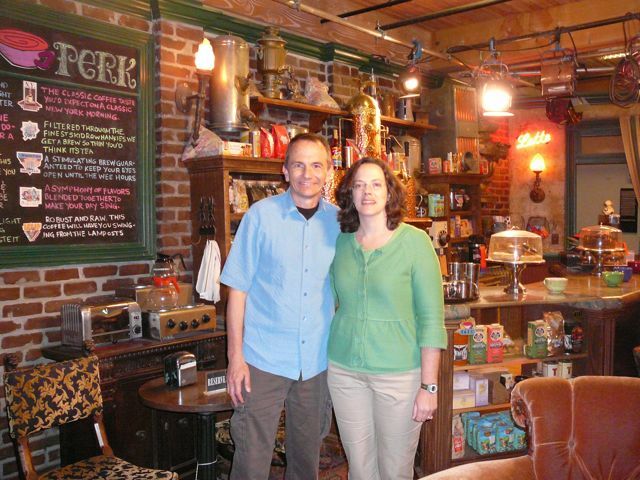 Here's a link to the Studio Tour website.